Book News: Hillary Clinton's New Memoir To Cover Arab Spring, Killing Of Bin Laden : The Two-Way Also: Mark Twain's advice to little girls; Benjamin Lytal on Vladimir Nabokov; and author and screenwriter Ruth Prawer Jhabvala has died. Former U.S. Secretary of State — and much-speculated about 2016 presidential candidate? — Hillary Clinton. Simon & Schuster announced in a press release on Thursday morning that former Secretary of State Hillary Clinton is coming out with a memoir in 2014. According to the release, the book will "use a number of dramatic moments during Secretary Clinton's tenure as Secretary of State to frame her thoughts about the recent history of U.S. foreign policy and the urgent, ongoing need for American leadership in a changing world," and will discuss events including the "killing of Osama Bin Laden; the overthrow of the Qaddafi regime in Libya; the transitions in Iraq and Afghanistan; [and] the Arab Spring..." Clinton had mentioned in an interview in January that she was working on a memoir. 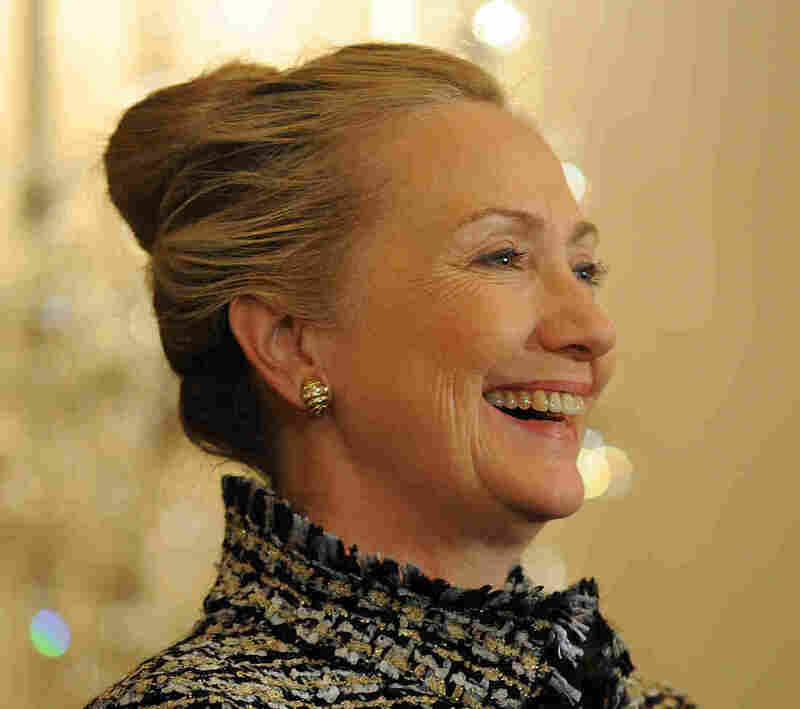 The book comes amidst increasing speculation that Clinton is considering a run for president in 2016. As NPR's Krishnadev Calamur reported on Wednesday, Booker Prize-winning author Ruth Prawer Jhabvala has died. She was also an Oscar-winning screenwriter and was celebrated for her adaptions of the E.M. Forster novels A Room With A View and Howard's End. Born into a Jewish family in Germany, she fled the country as a young girl in 1939. She lived in England, America and India, where much of her fiction was set, including a story published just last week in the New Yorker, "The Judge's Will." A Map of Tulsa author Benjamin Lytal writes about Nabokov for The New Yorker: "The flutter of magic, the avuncular twinkle, the B-movie danger—it's all here. The things that make us love Nabokov or tire of him can all be found in "Mister Morn," at least in chrysalis form." Mark Twain's beyond-charming book Advice to Little Girls is being republished this week, and has tips like, "Good little girls always show marked deference for the aged. You ought never to 'sass' old people unless they 'sass' you first."